I invite my angel guides to come to my side to help and protect me, to offer guidance and support. I call upon my Higher Self, that part of me that incorporates my highest qualities, the qualities I was born into this world to manifest. Thank you for being with me. I want to call upon the angels, the heavenly hosts who are here to help me welcome the light and love of the divine into my heart and soul. 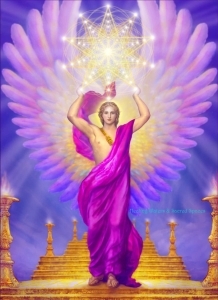 I welcome you, angels of energy healing! I welcome you into my life and my heart, so that you may heal, guide, and teach me how to nurture the love within — and share my love with others by experiencing the love of the Divine, the love you are made of. I welcome you and thank you for your presence.